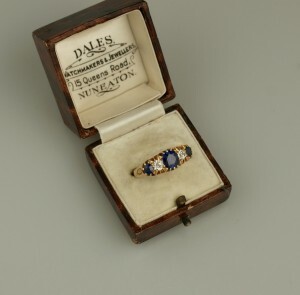 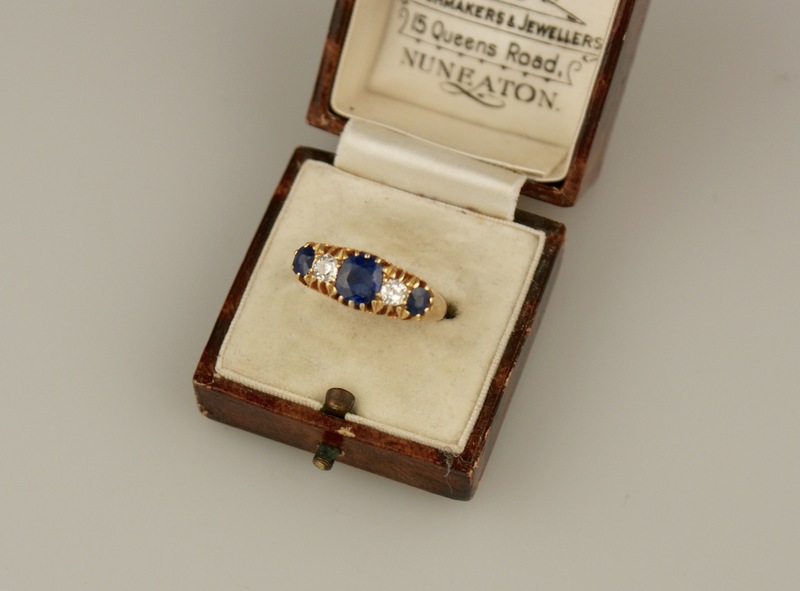 This is an Antique sapphire and diamond carved, half hoop ring. 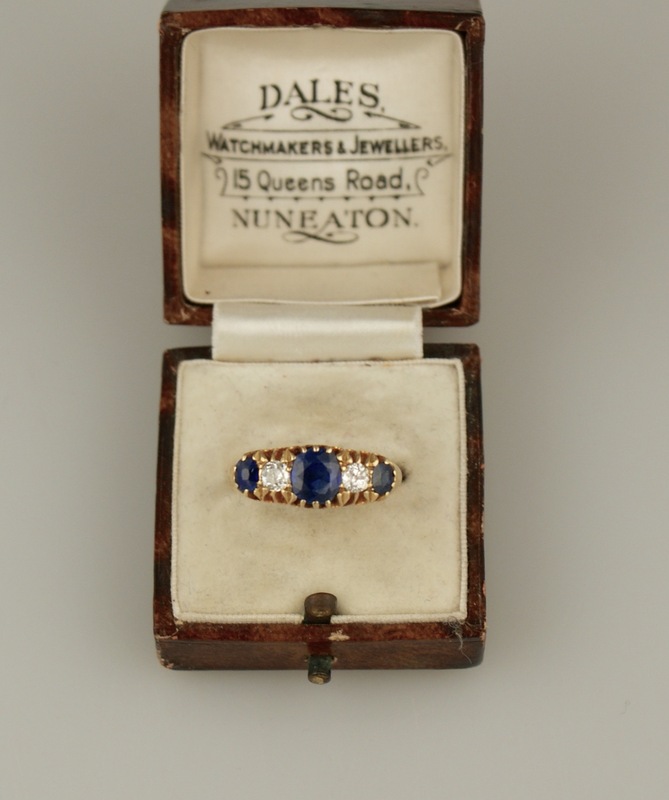 Mounted in 18ct yellow gold and is british hallmarked. 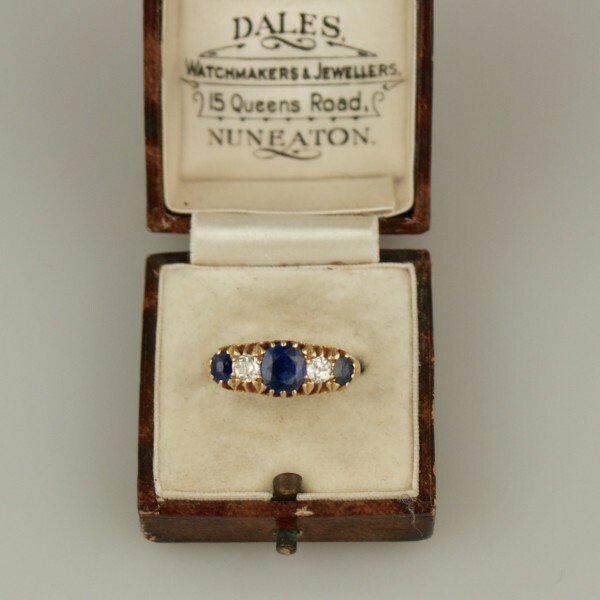 Made in Birmingham 1863.